The popular UGG® branded sheepskin boots are at the heart of a dispute in the Northern District of Illinois. Deckers Outdoor Corp. (“Deckers”) owns 29 federal registrations for the trademark UGG in connection with numerous goods and services, including footwear, clothing, wallets, passport covers, plush toys and retail store services. The company also has four pending applications for UGG to add to this family of UGG trademarks. Deckers sued Australian Leather Pty. 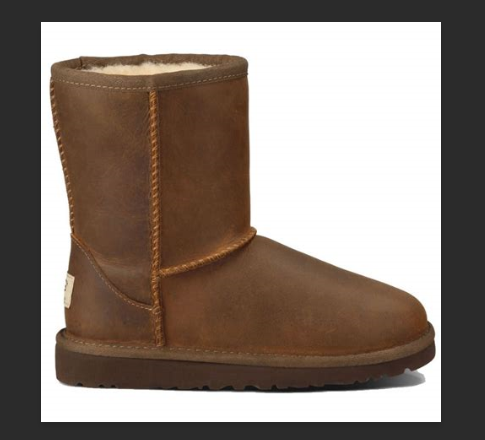 Ltd. and its owner (“Australian Leather”) for trademark infringement and patent infringement for selling “ugg” boots. UGG® branded boots have become very popular. Fashion forward celebrities, such as Blake Lively and Sarah Jessica Parker, are often pictured wearing the comfortable boots as they go about their daily lives. This provides the brand with free publicity and even more exposure. Defendant Australian Leather alleged that the ugg mark was generic for sheepskin boots and that the doctrine of foreign-equivalents supported this conclusion. The parties brought cross motions for summary judgment on these issues and others. Steve Baird has written about trademark genericide before on DuetsBlog. Generic trademarks are those where a brand name has become synonymous with a general class of product or service. Famous examples include: aspirin (Bayer lost this valuable mark), elevator and linoleum. Losing a trademark to genericide allows competitors to benefit from the originating company’s goodwill without being guilty of trademark infringement. Companies have undertaken advertising campaigns to prevent or combat their trademarks from becoming generic. For example, the Velcro Companies came up with the hilarious video, “Don’t Say Velcro,” explaining that the product is a “hook and loop” with the brand name VELCRO®. The company even came up with a sequel video called “Thank You For Your Feedback” that Steve Baird wrote about previously on DuetsBlog. Luckily for Deckers, the Illinois Court found that its UGG® trademark was not generic. Deckers introduced a survey undertaken in 2017 in the United States of 600 women between the ages of 16 and 54 wherein 98% of the respondents viewed UGG® as a brand name. These results were even better than past surveys commissioned by Deckers in 2004 where 58% of the respondents viewed the mark as a brand, and in 2011 where 89% of respondents viewed UGG® as a brand name. In turn, Australian Leather asserted that “ugg” was generic among American surfers in the 1970s. The Court found this group to be too narrow. Australian Leather also introduced evidence of “ugg” being generic for sheepskin boots in Australia. Not surprisingly, the Court did not find this evidence to win the day. The Court noted that genericness in another country could be at least relevant to consumer perceptions in the United States. However, it is important to remember that whether a trademark is generic in another country has little bearing on whether it is generic in the United States. Trademark rights are territorial. Having a registered trademark in the United States does not give a company rights in that mark in Australia or other countries. The Court explained that the foreign-equivalents doctrine did not warrant another result. It explained that “the doctrine is not a perfect fit for English to English [terms, rather, the doctrine] is generally used to analyze non-English terms used in the American marketplace.” Steve Baird did a nice job of explaining the appropriate use of this doctrine in his post, here. What genericide stories have you heard about? It can be an ongoing and costly battle for brand owners to protect their valuable intellectual property rights. Does a Commodity Ever Need to Apologize?